The Pakistani Taliban, Tehrik-e-Taliban Pakistan (TTP), has announced that the leadership of the group has appointed Noor Wali Mehsud as the successor of Mullah Fazlullah to lead the group. 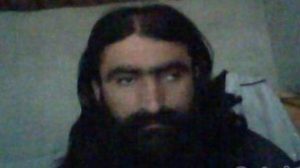 TTP spokesman Mohammad Khurasani issued a statement on Saturday confirming the appointment of Noor Wali Mehsud as the new leader of Tehrik-e-Taliban Pakistan. He said Muzahim also famous as Mufti Hafizullah has been apointed as the deputy leader of Tehrik-e-Taliban Pakistan. Khurasani confirmed that the former leader of Tehrike-e-Taliban Pakistan (TTP) Mullah Fazlullah was killed in a drone strike nearly ten days ago. The Afghan and US officials are saying that Mullah Fazlullah was targeted during a drone strike in eastern Kunar province of Afghanistan on 13th June. In the meantime, reports indicate that Noor Wali Mehsud was one of the close associates of the former Tehrik-e-Taliban Pakistan chief Baitullah Mehsud. He was appointed as the leader of Tehrik-e-Taliban Pakistan Mehsud faction after the killing of Khalid Sajna in February this year. Noor Wali is accused of plotting and carrying the attack on former Pakistani Prime Minister Benazir Bhutto besides he is accused of numerous other attacks, including some deadly raids on Pakistani forces.